For me, England has always been synonymous with one thing. No, not royalty or sports or fish and chips; for me, it's always been afternoon tea. 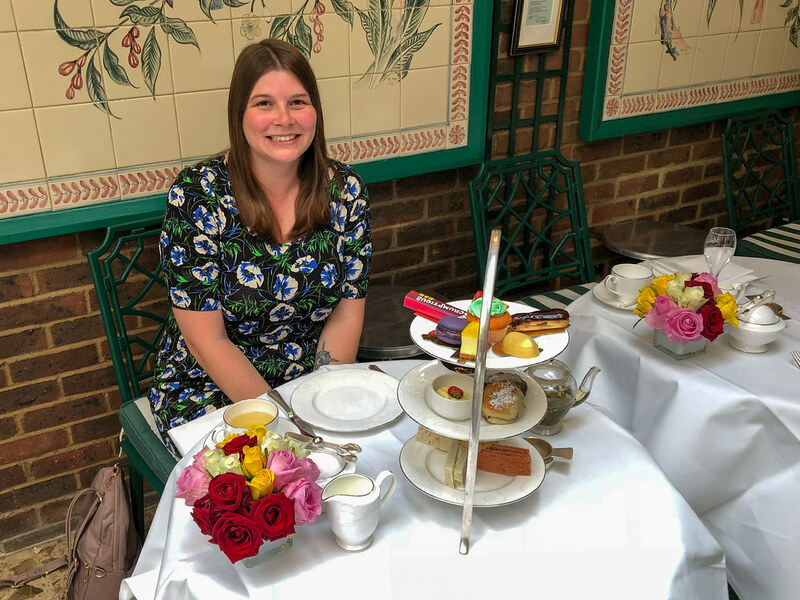 When I planned my first trip to London (and later, when I took my mom for her first time), going somewhere to have afternoon tea was high on my to-do list. But, back then, I kind of assumed that all afternoon teas were relatively the same. And while it's true that the usual trappings – the hot tea, the finger sandwiches, the scones, the sweet treats – are standard in any good afternoon tea, to say that afternoon teas are all the same is severely doing the tea experience a disservice. As it turns out, afternoon tea is anything but standard, especially in a city like London. London knows how to do a memorable afternoon tea, with several boasting really creative themes that only add to the overall experience. 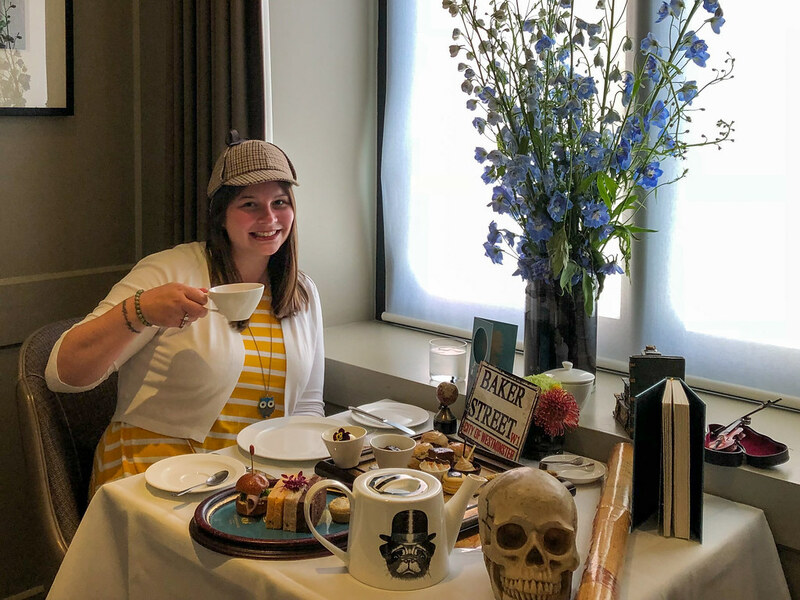 On my most recent trip to London, I decided to seek out the coolest themed afternoon teas I could find – and let me tell you, there are some unique ones! I won't lie to you: This list was VERY difficult to compile, not least of all because many of these themed teas change frequently. Mostly, though, it was just tough to pick a favorite because they're all done so well! After having tea at this charming Mayfair hotel, I'm now obsessed with staying here on a future trip to London. It's within walking distance to Green Park (and Buckingham Palace), and has that “old world” hotel feel without feeling too stuffy. I went for their Charlie and the Chocolate Factory-themed tea, which like all afternoon teas at the Chesterfield, was served in their light-filled conservatory. The tea selection was unique (they have quite a few flowering teas on their menu), and I liked the chocolate scones and Wonka-inspired sweet treats, including an Oompa-Loompa cupcake and bubblegum eclair. The pros: The tea selection was unique, the conservatory was nice, and there was even live music when I was there. Who this tea is best for: Families with kids who want to go to a nice afternoon tea, but don't care if there's an over-the-top theme. Good to know: They can accommodate vegetarian, vegan, and gluten-free diets. They also have a children's tea for £21.50. Booking ahead is recommended. The new theme is fairly similar in that it still centers around candy, and you'll still get to enjoy the quiet setting in the conservatory, along with the very nice staff at the Chesterfield. 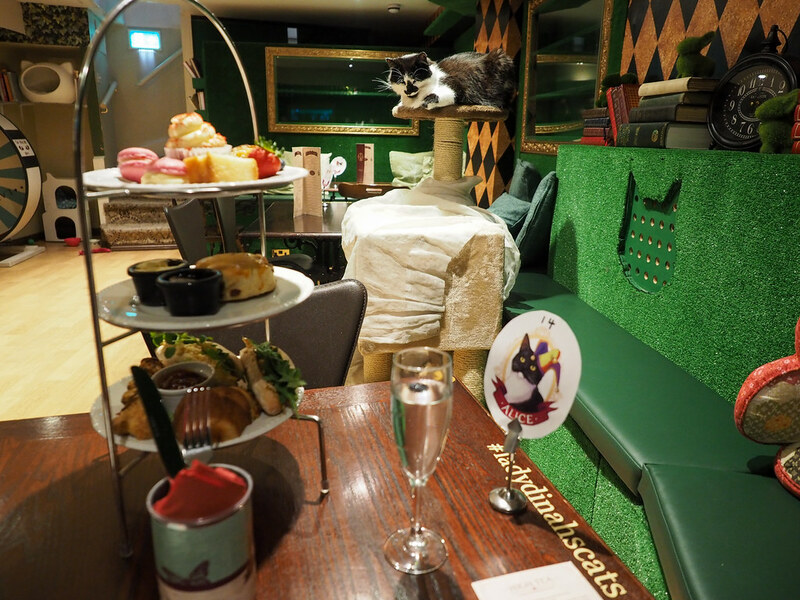 If you're still interested in a Willy Wonka-themed afternoon tea in London, though, check out the one at One Aldwych in Covent Garden. 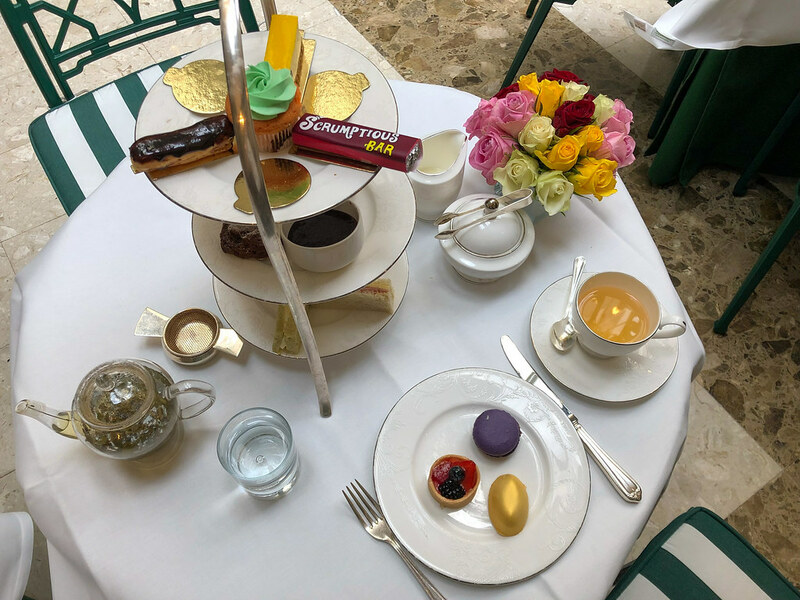 If I'm being completely honest with you, the One Aldwych's Charlie and the Chocolate Factory tea was the one I really wanted to try, but I was unable to get a table on a day that worked with my schedule. The One Aldwych tea has won awards, and also looks like it's presented in a slightly more whimsical way. It's debatable whether this one really fits into the category of “themed afternoon teas,” but I'm including it simply because it's so unique. 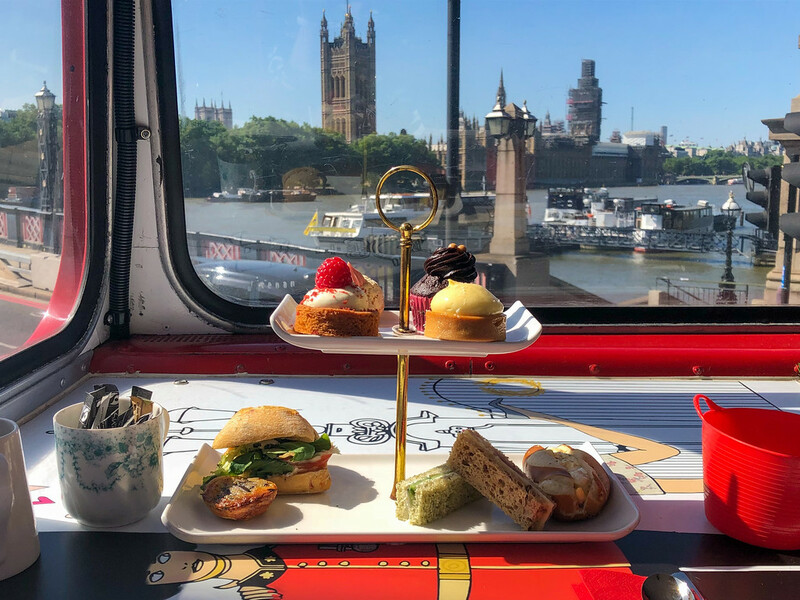 Put on in conjunction with B Bakery (AKA Brigit’s Bakery in Covent Garden), this tea has you riding a converted double decker bus around central London as you sip your tea and eat your scones. 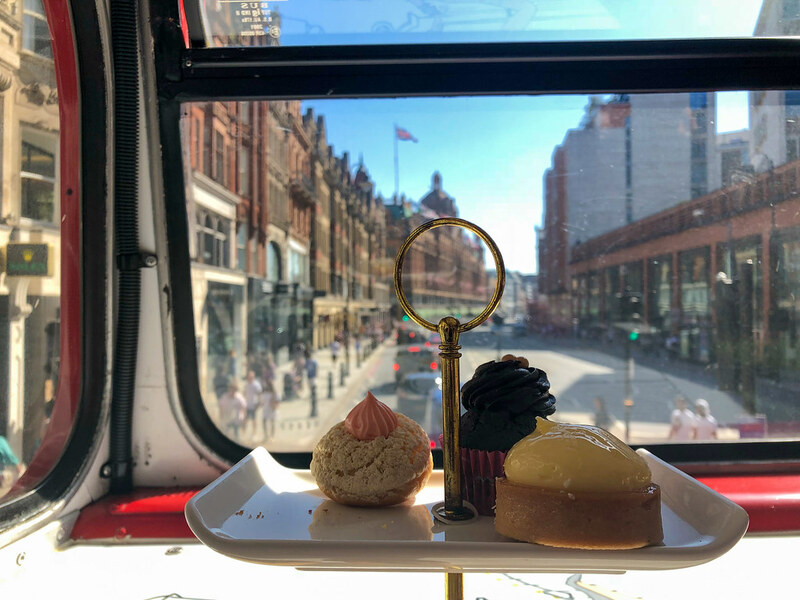 With pickups at either Victoria Coach Station or Trafalgar Square, the general route of your tea bus tour takes you in a big loop around Hyde Park, passing London icons like Big Ben, Harrods, Oxford Street, and Hyde Park. There's a recording that accompanies your tour so you know what you're looking at out the bus windows, and the pastries especially are really tasty. The pros: It's a fun way to see a bit of London, and you get to go home with a souvenir travel mug (since you're on a moving bus, your tea isn't served in normal tea cups!). The cons: You are moving throughout your tea, so be careful when trying to spread the jam on your scones! The buses also have very weak air conditioning, so be prepared for it to be warm if you catch London during a heat wave like I did. I also found it difficult to hear the recorded guide because of course everyone on the bus was chatting over their tea! Price: Starting at £45 per adult, though I couldn't find seats for less than £56. Seats on the top deck are more expensive, and seats at the “VIP” front tables start around £66 and can go up to £71 per adult. Good to know: They can cater to vegetarian, vegan, halal, and gluten-free diets. 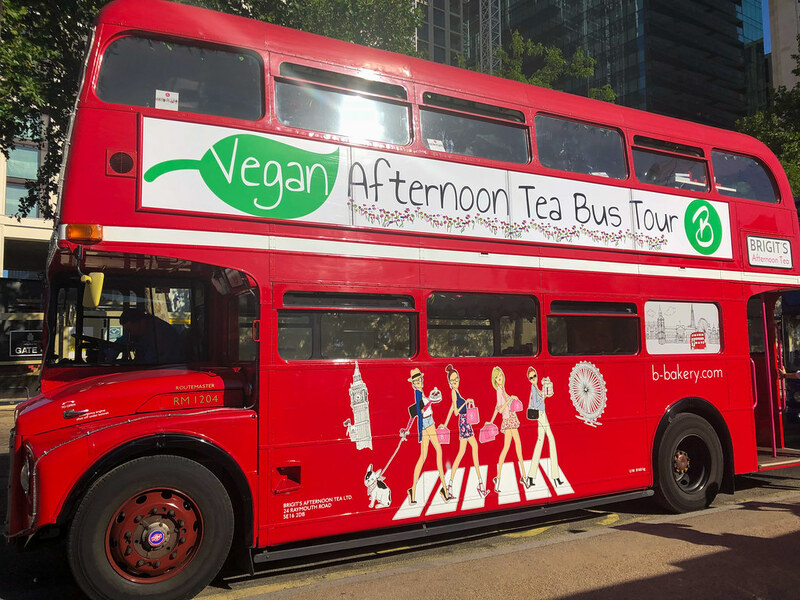 They also do a gin bus tour, which is their typical afternoon tea combined with gin cocktails. You definitely NEED to book ahead for this one, as they often sell out – you can book a seat here! If you're looking for a beautiful (and tasty!) themed tea in London, you can't really go wrong with any of the offerings at Kona, one of the restaurants at the 5-star Taj 51 Buckingham Gate hotel. For me, there was no question about which themed tea I'd choose: it was Sherlock Holmes all the way! 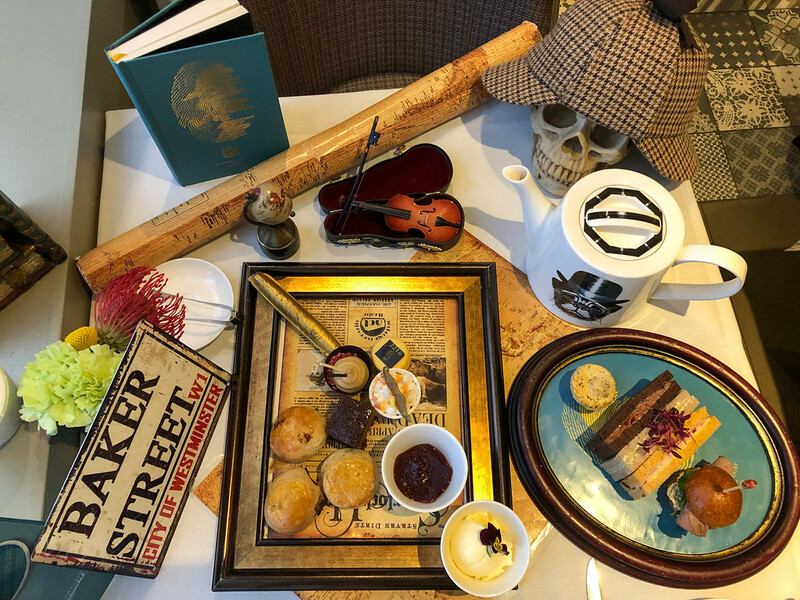 I absolutely adored this tea, from the fun props on my table to the themed goodies like the “221 B Macaroon,” which was flavored with Scotch; a stout cupcake called “Watson's Moustache,” and a smoked caramel mousse in the shape of a cigar. This was not only a delicious tea, but was also presented in such a fun way. The pros: The food was very good, and I loved the totally themed menu and inventive presentation. This was one of the more photogenic teas I attended. The cons: I literally could find no cons to this one. I loved it! Who this tea is best for: A group of friends, or maybe on a fancy date. I also felt like I got extra-nice service here as a solo tea-goer. Good to know: You need to book any of the themed teas at Kona at least 24 hours in advance. 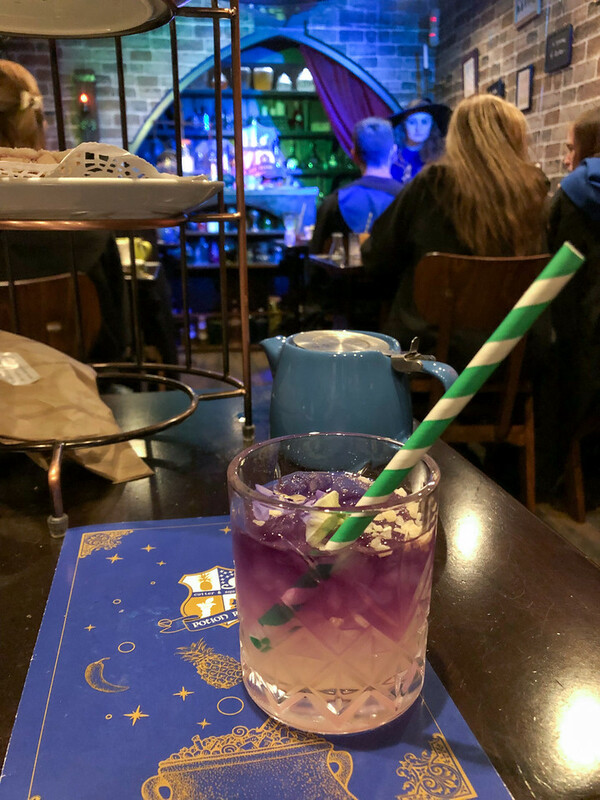 Don't worry, though, because Kona also has an Alice in Wonderland-themed tea, a “Jasmine Indian” tea, and other themed teas that rotate with the season. 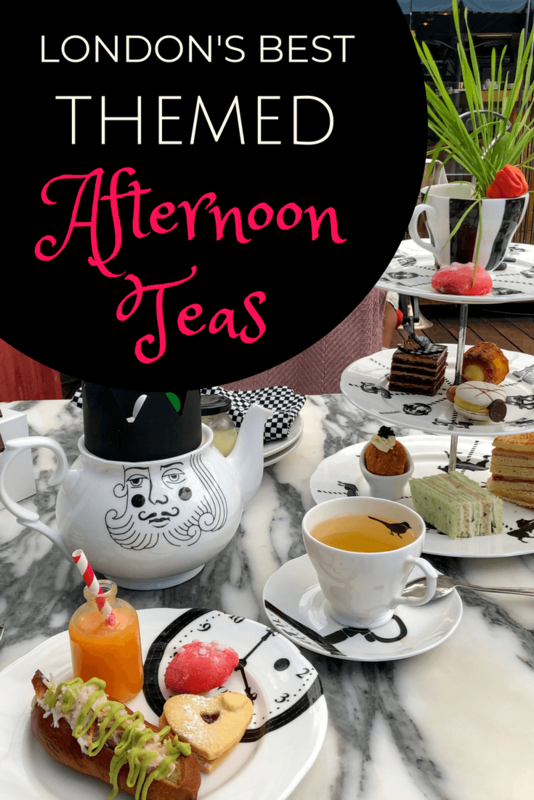 Check out all their afternoon tea offerings here. Harry Potter fans, rejoice! 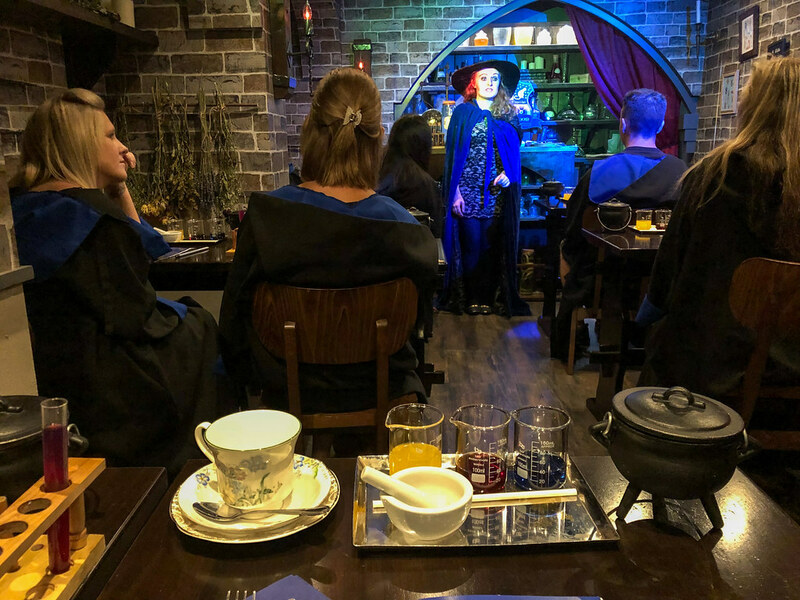 London now has a deliciously immersive Harry Potter-themed tea! 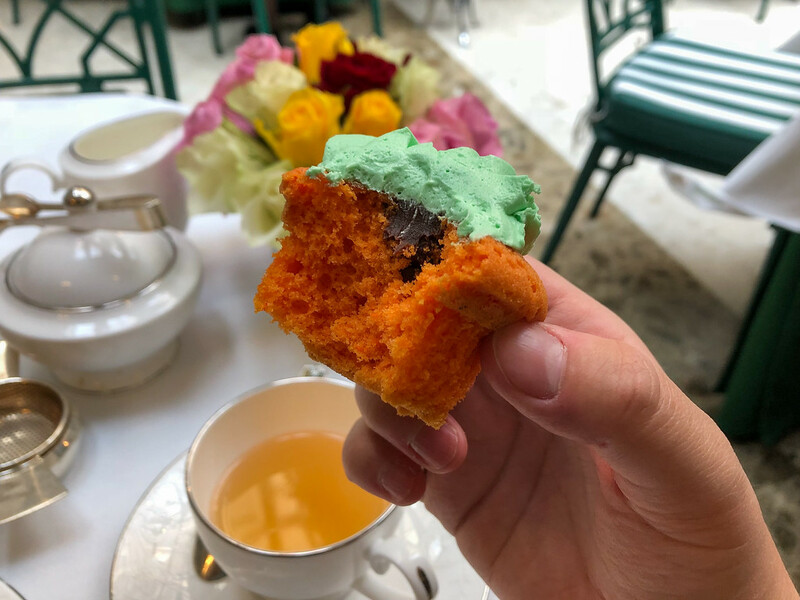 You'll find this tea at a bakery in Soho called Cutter & Squidge, and to simply call it a “themed afternoon tea” doesn't do it justice at all. This isn't just afternoon tea. This is a full-on tea experience. You start by going down into the basement of the bakery, which has been transformed into the Potion Room. You get given a cloak and a wand, and are seated at a desk before you meet your Potions Master (or Mistress). The Potion Room totally feels like a real classroom! You then spend the next couple of hours mixing edible potions, drinking teas with names like “Elixir of Life” and “Unicorn Tears,” and geeking out as much as your little magical heart desires. I did this one with fellow travel blogger Lauren, and it was SO FUN. 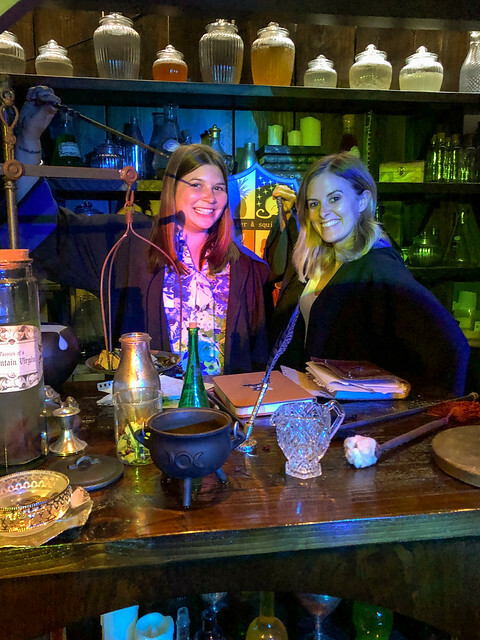 The pros: This was the most-themed tea I attended; it's a fully immersive experience, and you really will feel like you're in a Potions classroom! I was so impressed by the presentation, as well as the food – the ham sandwich, leek and potato pie, and rock cakes were my favorites. I also felt like this one gave you the most bang for your buck because of the overall experience AND all the extra goodies that are included. The cons: I mean… I guess if you're not a huge Harry Potter fan this might seem a bit kitschy? 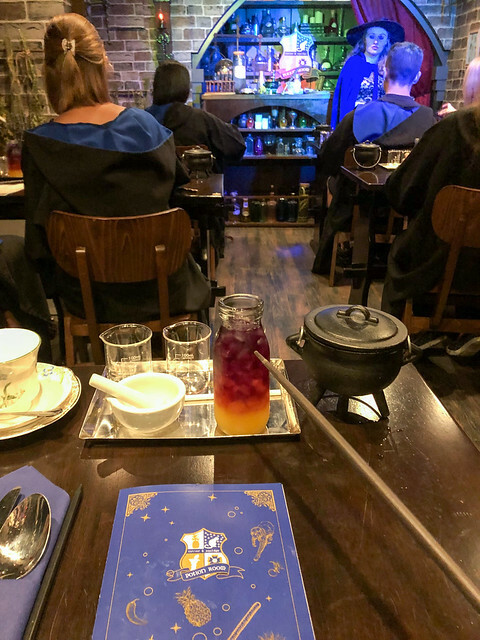 Who this tea is best for: Anyone like me who is still convinced that their Hogwarts letter got lost in the Owl Post… This one would make for a great date or an outing with a Harry Potter-loving friend. I'm glad I didn't do this one solo, as it was definitely more fun with a friend. Good to know: They cater to vegetarian, vegan, gluten-free, and dairy-free needs. You need to book well in advance for this one! There are only 15 seats in the Potion Room, and they book up fast. They also only offer this 3 times per day. So are you surprised that the Harry Potter tea didn't take the #1 spot? I kind of was, too, to be honest! 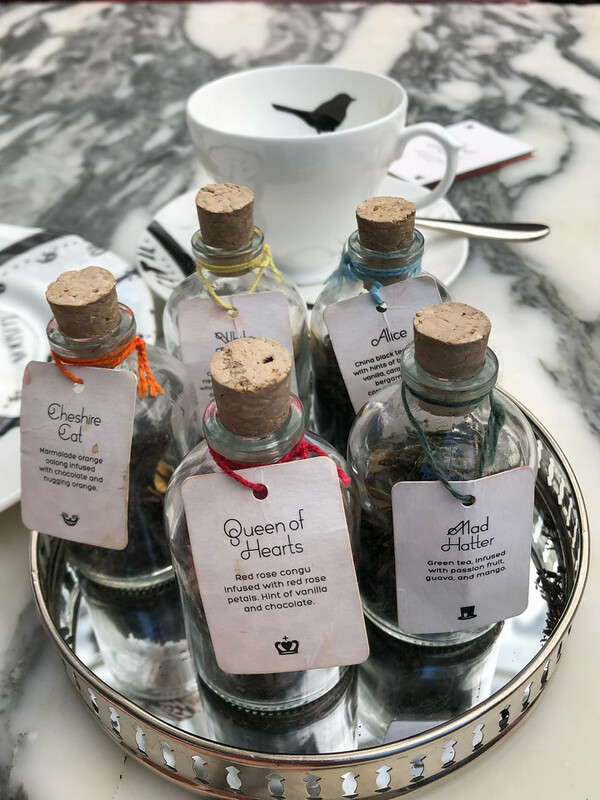 But, when it comes down to it, another of London's famous themed teas slightly nudged it out: the Alice in Wonderland-themed Mad Hatters Tea Party at the Sanderson. Why did this beat out the Potion Room? Well, because I think the Potion Room appeals to a very specific kind of tea-goer (i.e. 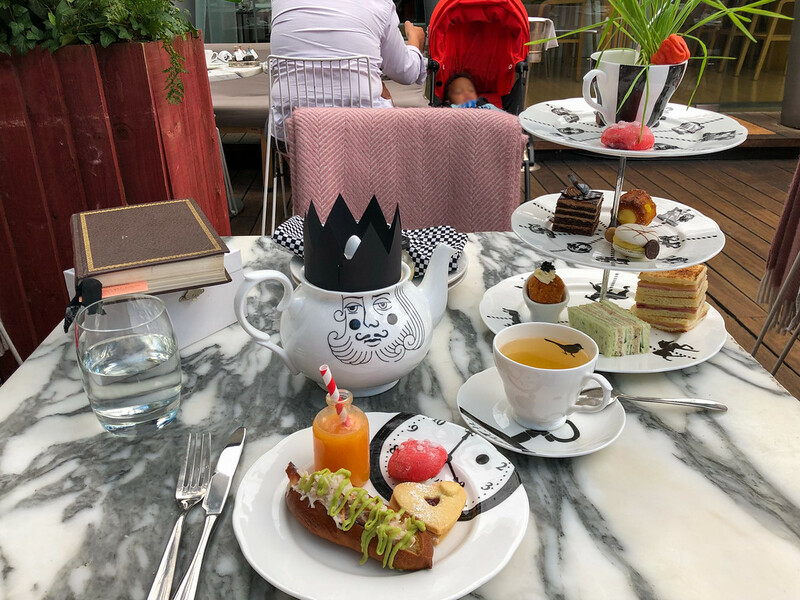 the kind who will happily wear a cloak and wave a fake wand around while enjoying an immersive tea experience), while the Mad Hatters tea has a much wider appeal while still being adorably cute and super delicious. 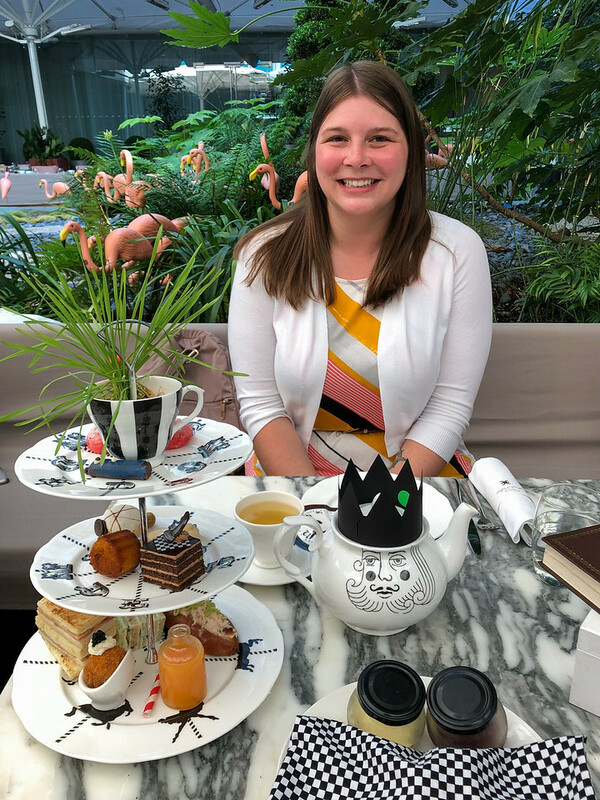 The Mad Hatters Afternoon Tea was the first themed tea I tried in London, and I was immediately enchanted. 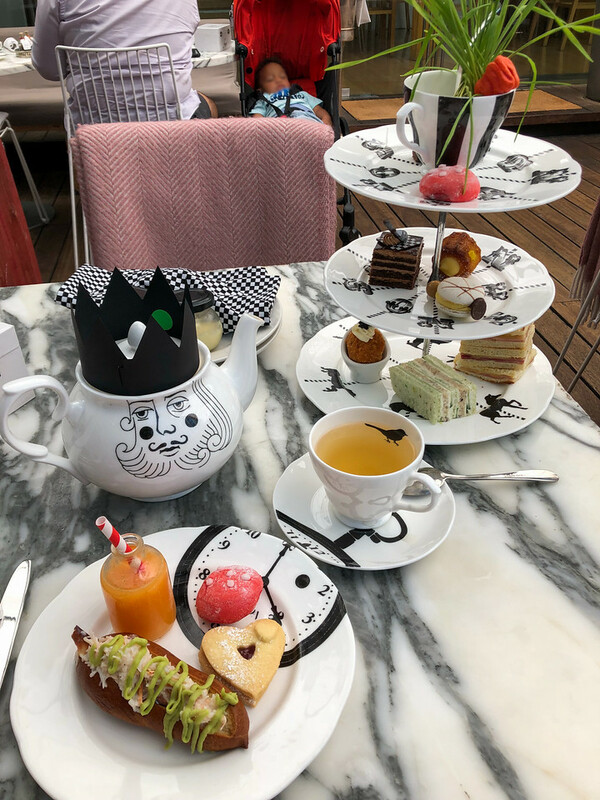 From the on-theme dishwear to the themed tea blends to the pretty plate of food that came out, I was super impressed with everything about this tea. The themed tea blends are perfect! The pros: Pretty much everything – the theme is carried out perfectly throughout the whole tea, and the food is all very good. They'll also box up any extras for you to take with you (as will most of the other teas on this list). The cons: The only slight downside is that the tea is served in both the Sanderson's restaurant and courtyard garden, but you won't know where you'll be sitting until you get there. The courtyard is very pretty, but if you're in London during a heat wave like I was, it may be a little warm! Who this tea is best for: Pretty much anyone who wants to enjoy a fun themed afternoon tea! This would probably be my pick if you wanted to take kids to a themed tea. Good to know: They can accommodate needs for vegetarian, vegan, gluten-free, and dairy-free diets. 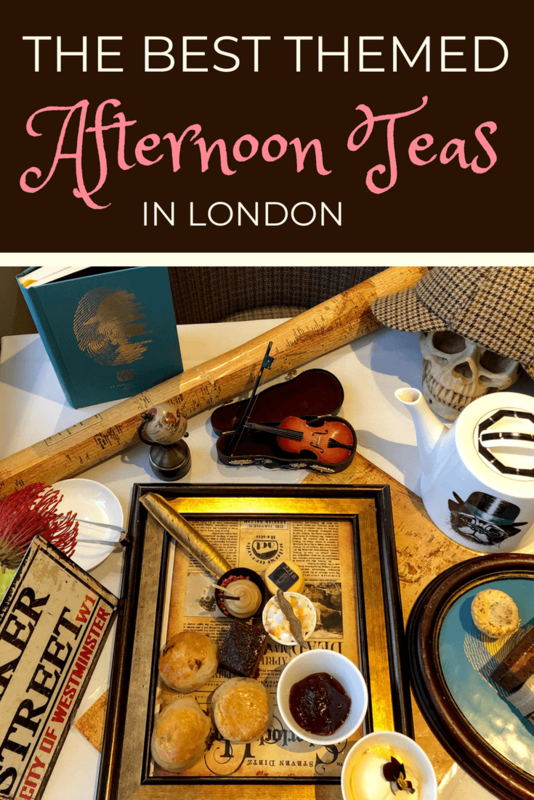 One more fun tea that I think deserves a mention on this list is the afternoon tea you can have at Lady Dinah's Cat Emporium, a cat cafe in Shoreditch. Enjoy a regular afternoon tea menu, but do it while surrounded by a bunch of kitties in Lady Dinah's super cute cafe. Pros: Umm… kitties!! 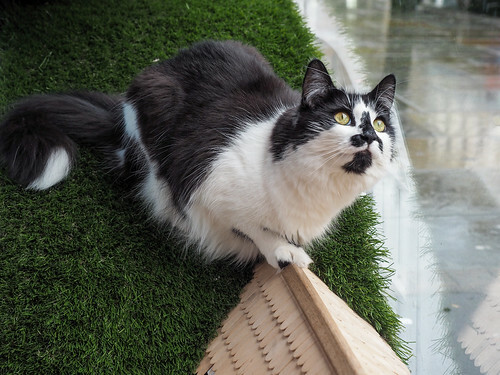 If you love cats and would love to visit a cat cafe anyway, this is a great way to do it. The food is very good, and it's one of the most affordable afternoon teas you'll find in London. Cons: Cats are jerks, and they probably won't cuddle with you when you want them to. Good to know: They can cater to most dietary needs, including vegetarian, pescatarian, vegan, dairy-free, gluten-free, and even gluten-free vegetarian. I highly recommend booking this one in advance. 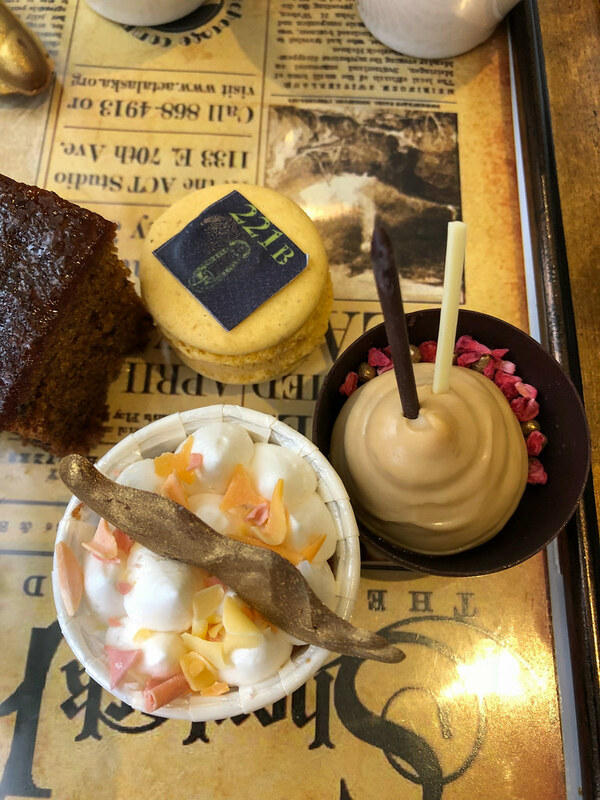 And, of course, there are other themed afternoon teas in London that I didn't have the chance to try (I think 5 teas in 6 days was enough, guys!). Chesterfield Mayfair – Luxury hotel that's one of the Top 10 hotels in all of London. Or check out One Aldwych for their Wonka-themed tea. St. James' Court, A Taj Hotel – More affordable than the Taj 51! The Piccadilly London West End – Has a 5-star rating on TripAdvisor. Sanderson – May as well stay at the hotel that hosts this great tea! The Montague on The Gardens – Near the British Museum. Qbic Hotel London City – Fun East End hotel that's also really affordable. 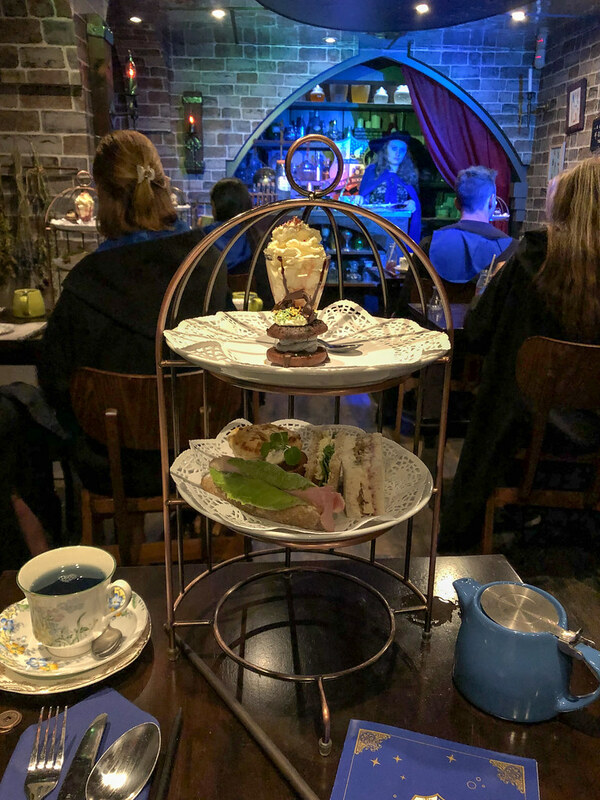 Have you ever been to a themed afternoon tea? Which of these are you going to book next time you're in London? This is FANTASTIC! I did lots of tea parties when I was younger and had my very own fancy little tea set. Even my bridal shower was at a tea house. I LOVE the idea of not only attending a themed tea, but attending MANY of them. If you’re ever looking to go back, I will totally do the Beauty and the Beast tea with you!! At most of them you can actually get coffee instead of tea. 🙂 But yes, it’s amazing how many different teas there are in London! “High Wine” – I like your style!! Wow that looks good. I knew that people like to do tea time but I didn’t know that they have special tea houses. Yes! I’m definitely a fan of themed teas now! What a totally fun idea for your trip! I too, associate tea with England and went to a tea while visiting but never even considered that there might be theme teas! The Wonka looks fabulous just because I’m such a fan of the movie and, while not a Potter die-hard, it looks great too. As you pointed out, the whole immersive experience and the setting seemed really great. So glad you enjoyed your trip! I had no idea there were so many themed teas! Once I discovered how many there were, I was obsessed with trying as many as possible! This is a great post!! I’m a huge tea lover and really appreciate you sharing all the amazing teas in London. I host tea parties every year for friends and family and can’t imagine all the work that goes into these! Thanks for sharing! Oh man, yeah some of these are so intricate that I can’t imagine the person who dreamed them up (especially the Harry Potter one!). This is such a ‘sweet’ post. 🙂 I love the concept of afternoon tea. I think this list would be helpful for someone who would like to experience the quintessential tea culture of England. I love afternoon teas, too, and these were definitely unique ones! What a fun blog post! I went to Sketch (https://sketch.london/afternoon_tea.php) for afternoon tea and absolutely loved it! When I’m in London next, I want to try one or two of these recommendations. Ah yes, I’ve heard great things about Sketch! This is so perfect! We’re headed back to London in October and I’m trying to find a good afternoon tea for us to do. This will be my 7th visit to London and my partner’s 3rd, but he’s never done afternoon tea before. He’s not a huge tea and tiny sandwiches guy, so I think a themed tea will be perfect for him. The Harry Potter tea sounds amazing! Thank you so much for recapping your experiences and providing so many great details! PS: If anyone is looking for a less expensive (albeit, not themed) afternoon tea, the Soho Secret Tea Room is a great choice! A themed tea could be perfect, then! I hope you guys enjoy whichever one you end up going to! 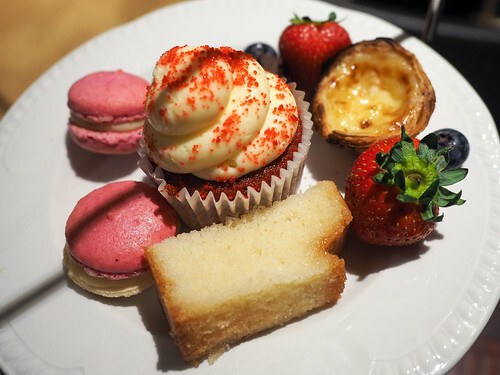 Before I finished afternoon tea in the Park Room at the Grosvenor House Hotel, I offered a complimentary box of small cakes or scones–it was included to guests. Unfortunately my hotel room didn’t have a fridge so I couldn’t take a box. 🙁 However I did go for the champagne upgrade when I made my reservation online! Also, if you’re going to an upscale venue (such Grosvenor House Hotel), looking dressy is worth it! Yes, going to an afternoon tea is always a fun excuse to get dressed up! Wow! I wish I saw this before. I just left London and was only there for a few days. I never thought to even look up an afternoon tea joint! Next time, I guess. Definitely something to put on the list for next time! Afternoon teas in general are really nice – I’ve done plenty of “normal” ones in different cities around the world. But these themed ones really are something special! My kids would definitely go for the Harry Potter Tea but I think the Sherlock Holmes Tea would be the one for me. (The one I’d love to attend would be an Agatha Christie Tea if that existed)All look to be great fun, though. Ooo an Agatha Christie one would be very cool! You could do a lot with that theme. The Charlie & the Chocolate Factory tea sounds great! Definitely gonna have to try that soon. Love all the photos as well! Thanks! I had so much fun doing everything for this post, including taking photos – though I’m sure I looked a littler weird to some of the other people enjoying tea! Haha. As a tea lover, this post is truly wonderful, Amanda! And just in time for our planned trip to visit friends in London. 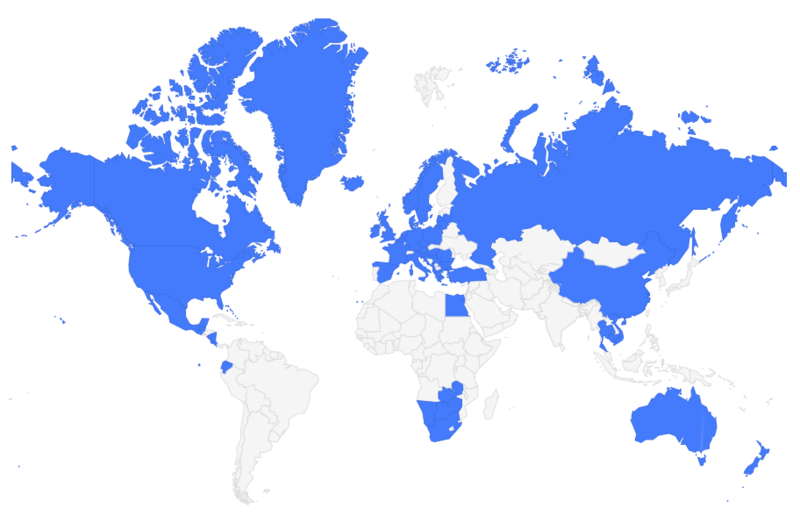 Although we won’t be staying too long, I definitely will find time to visit some of these places. I am most looking forward to having tea with kitties; so that would be top of our list. Thanks for this! Even if you don’t go for afternoon tea, I highly recommend visiting Lady Dinah’s! It’s such a cute cafe and the cats are awesome! I too lived in small town OH (as a side) I am doing the B Bakery tour, soon, with my husband. Then I am doing a brand new Mary Poppins themed tea at the Shard. I am excited. Thanks for your post. The Mary Poppins tea sound great, too!